My riding buddies Larry C. and Larry T. ride the Trail of Tears motorcycle ride every September and I try to join them on the second night of the ride in Hot Springs, Arkansas. 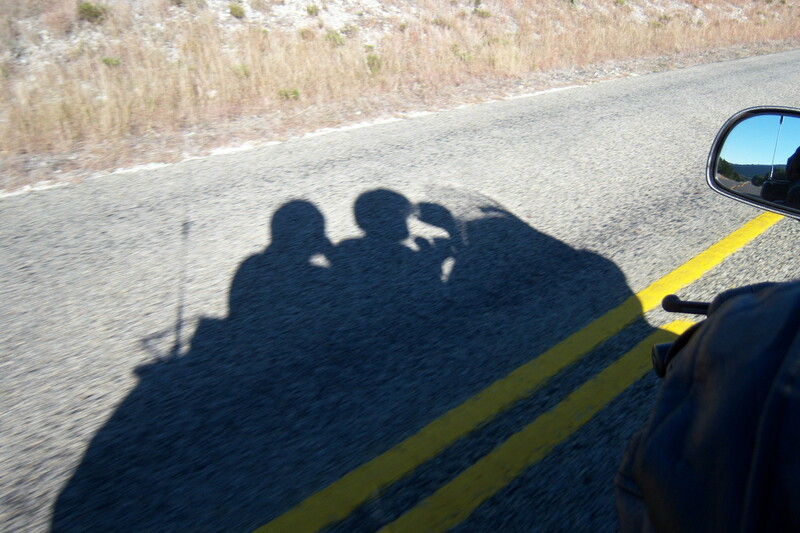 I have ridden to meet my riding buddies in Hot Springs several times before but this was the first time Janet rode with me. Before this trip was over it would be many firsts for Janet. 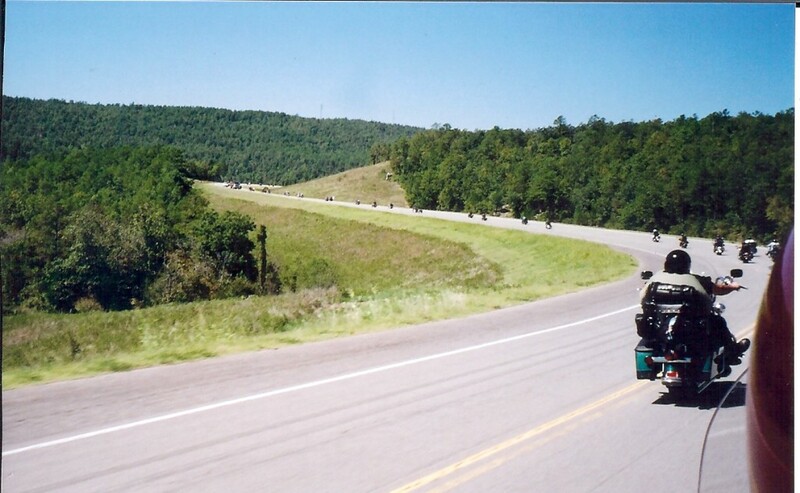 The Trail of Tears motorcycle ride starts in Chattanooga, Tennessee and goes to the trail’s end. 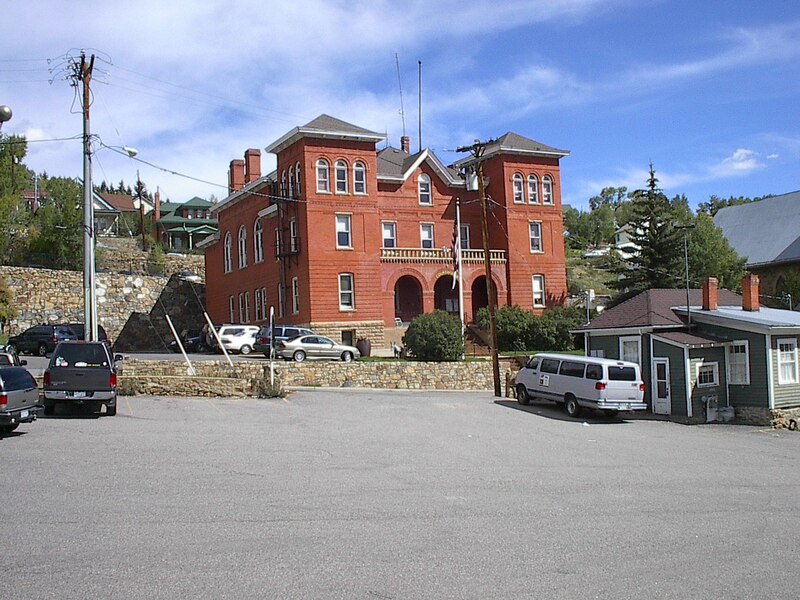 The second leg of the ride ends in Hot Springs. 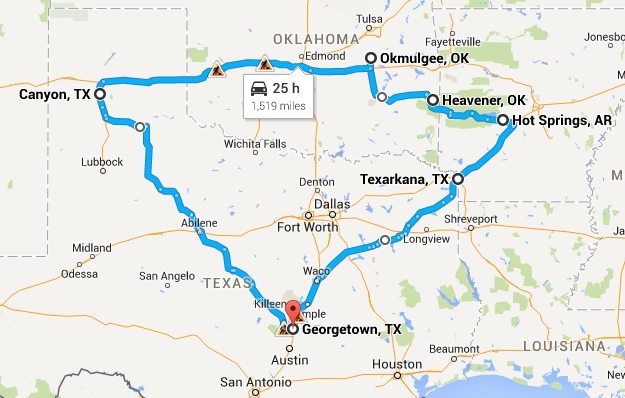 The last leg continues the next day and ends somewhere in Oklahoma. This year it was ending in Okmulgee, Oklahoma. 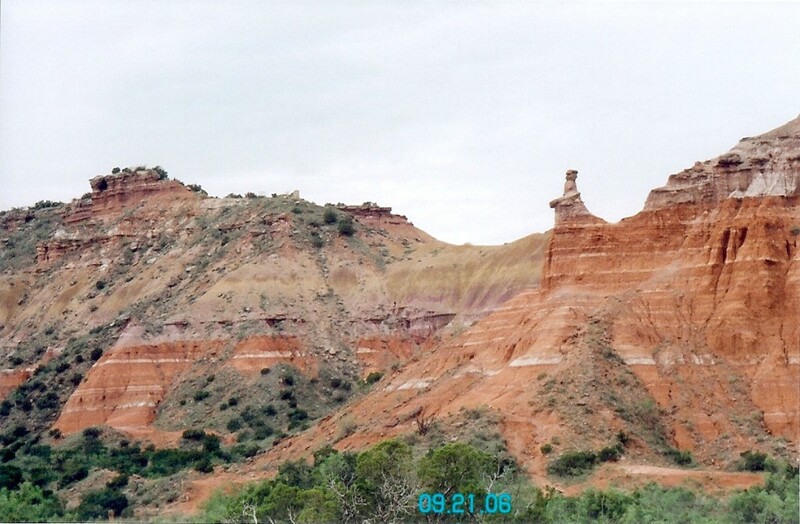 We will ride the last leg and from there we will continue on to the Palo Duro Canyon in Texas. 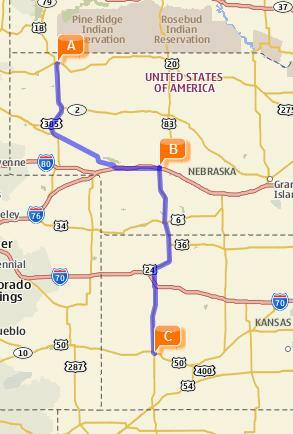 Come follow along and enjoy as we ride our 7 day, 1691 mile ride. Checkout the other days of our ride by clicking on the links below. 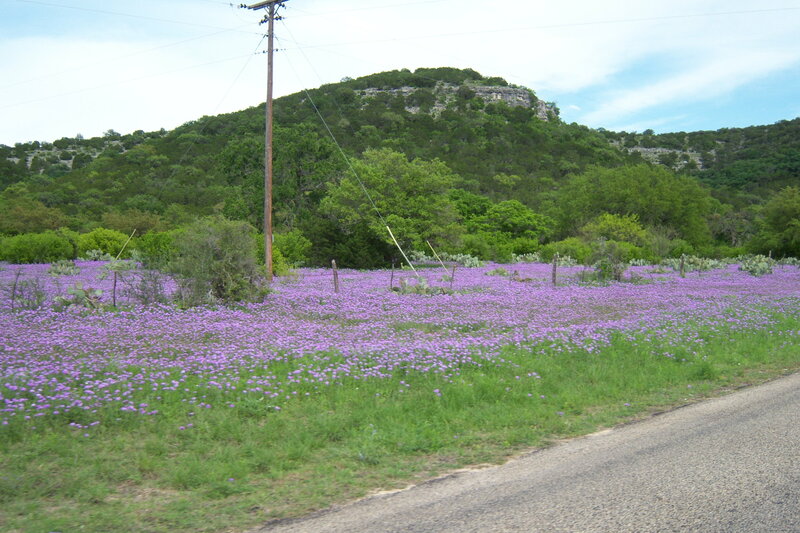 Last April Janet and I took advantage of the good crop of wild flowers we had here in Texas and rode the Hill Country to enjoy the flowers. 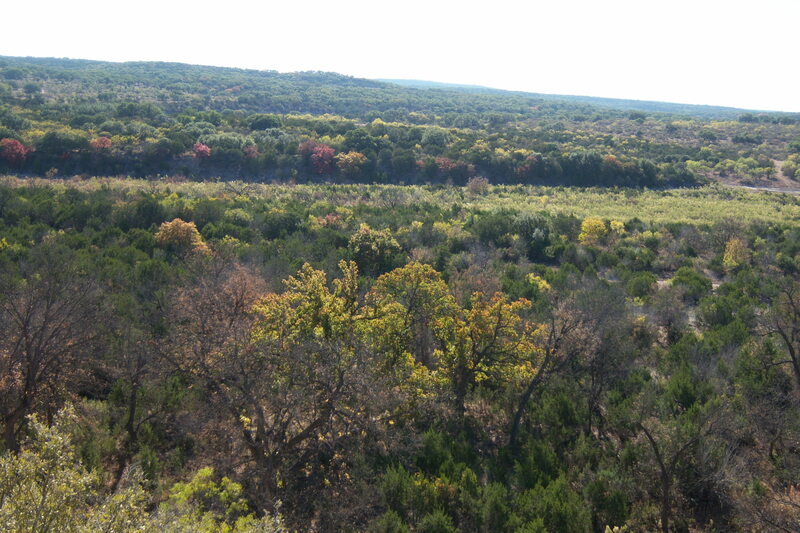 We enjoyed that so much we decide to go back and do a Hill Country fall foliage motorcycle ride. We did miss the peak of the leaves turning by about a week but it was still good. I had a little mishap before we left. When I was getting the bike out of the garage, I failed to get the kickstand down all the way and I dropped it in the driveway. I had to get Steven up to help me pick it up. He was half asleep and hardly remembers much about that. Janet talked to him the following day and he ask Janet… “Mom, did I see you in leathers! ?” He had never seen her wearing them before. 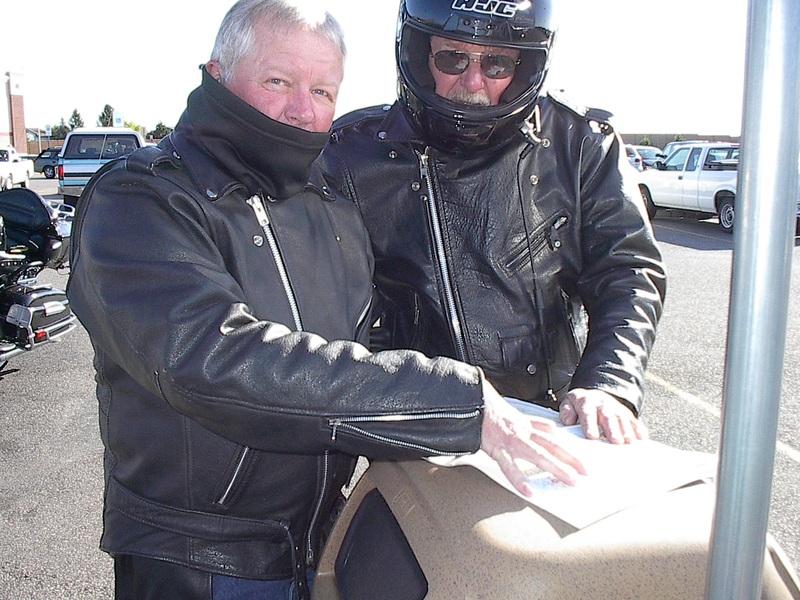 It was a bit cool that morning so we wore our leathers. 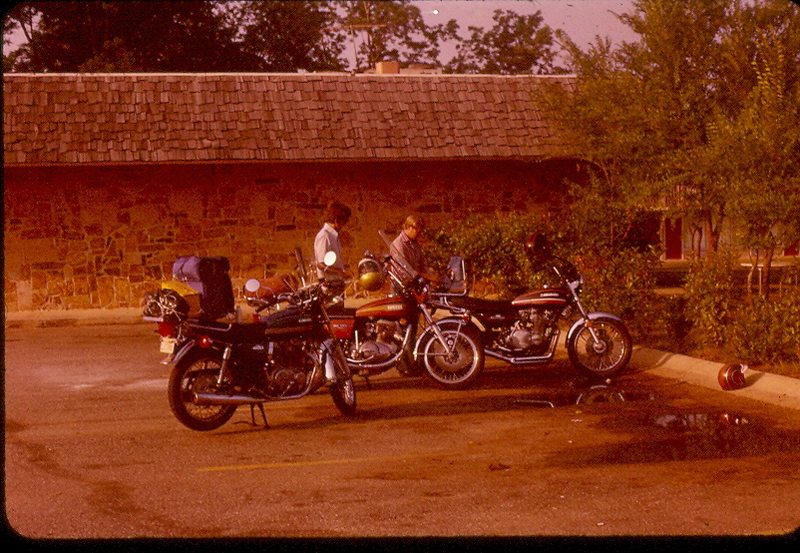 We got an early start and rode to Bertram and had breakfast at the Crazy Gal’s Café. “The Crazy Gal’s” is just a small café but the food is good and the waitress was entertaining. The ride to Bertram was a bit cool and it tried to sprinkle a bit but not enough to stop and put on the rain suits. We had a good breakfast and were back on the road. We rode past Enchanted Rock. 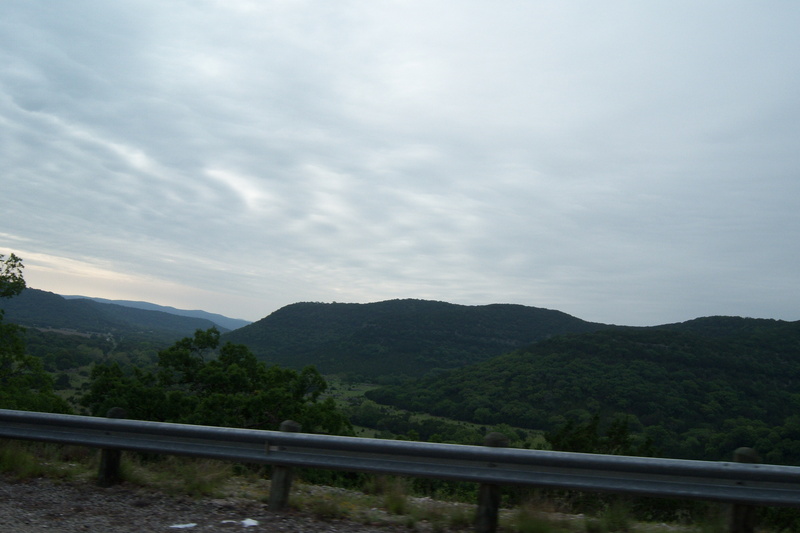 Riding into Fredericksburg Janet saw “Cross Mountain Road”. We have been by that way many times but have never seen it before. We decided to turn around and check it out. 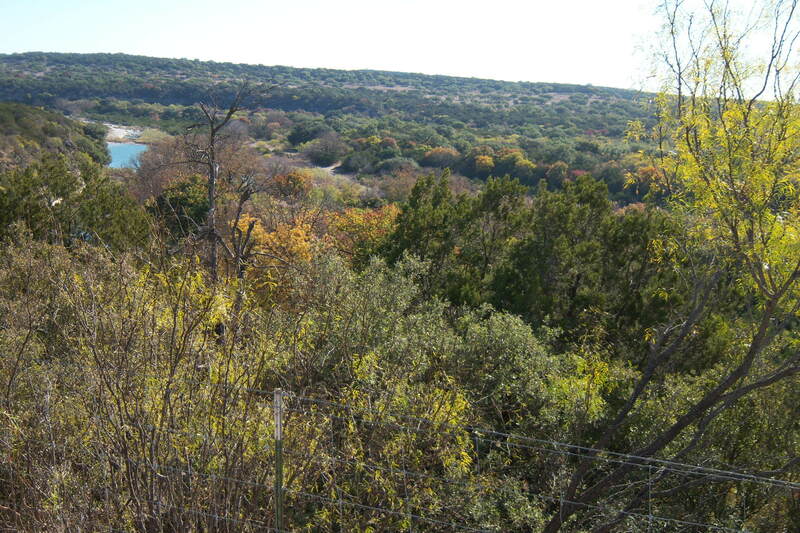 The early German settlers in the Hill Country town reportedly found an old wooden cross on top of the hill that may have been left by earlier Spanish explorers who passed through the Texas Hill Country. 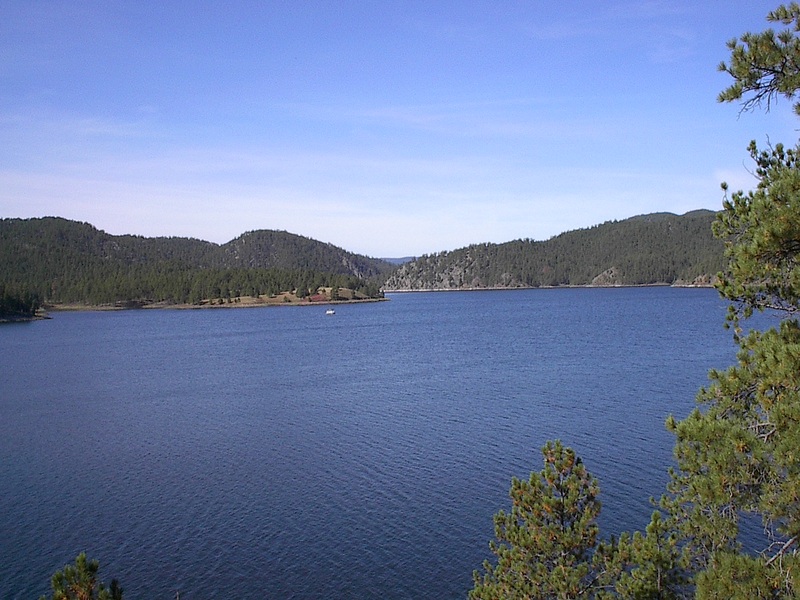 As a result, this area became known as Kreuzberg (Cross Mountain). 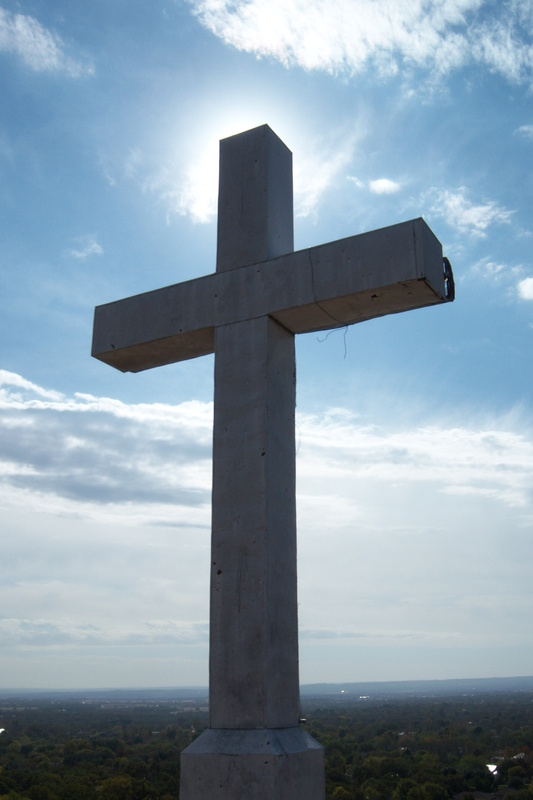 The original cross has been lost to history, but today a large metal cross stands in its place. We followed the road to its end and walked a short distance up a trail to the cross. The view was spectacular and we could see for miles all around. We took many pictures. After climbing the hill to the cross and down again, we were back on the road again. 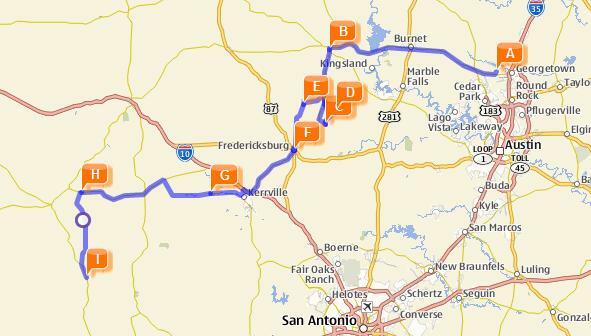 We made a pit stop in Fredericksburg and then rode on to Kerrville and Hunt. 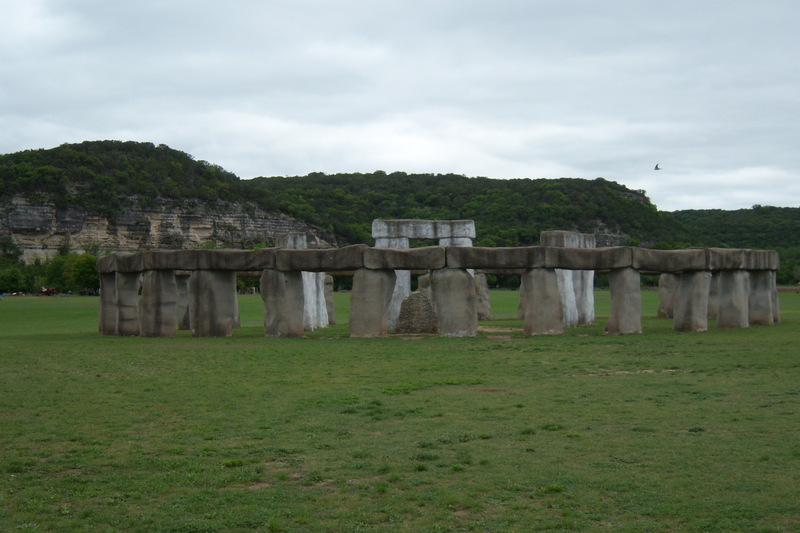 While riding through Kerrville we saw what looked like another Stonehenge replica in a park. We thought that a bit odd because there was also one just down the road outside Hunt. 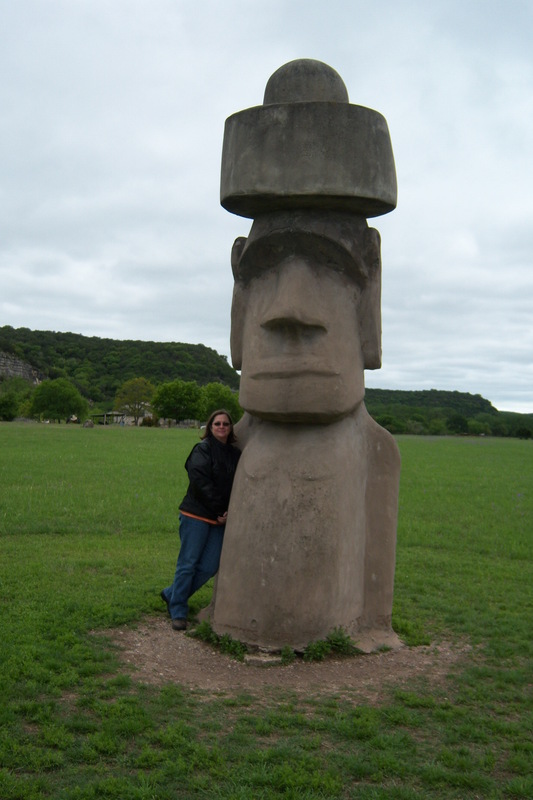 From there we took Hwy 1340 where we planned to stop at the Texas version of Stonehenge but it wasn’t there. The land had been sold and Stonehenge was gone. 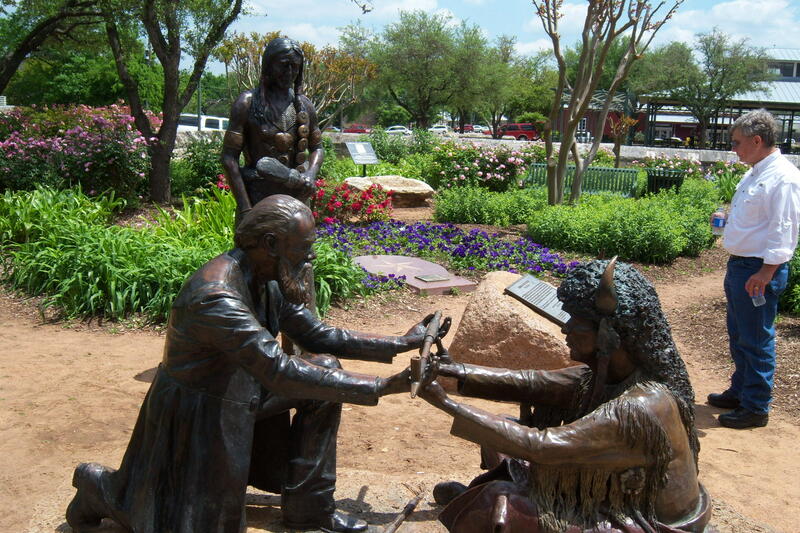 Apparently the Stonehenge had been moved to the Kerrville park after the land was sold. 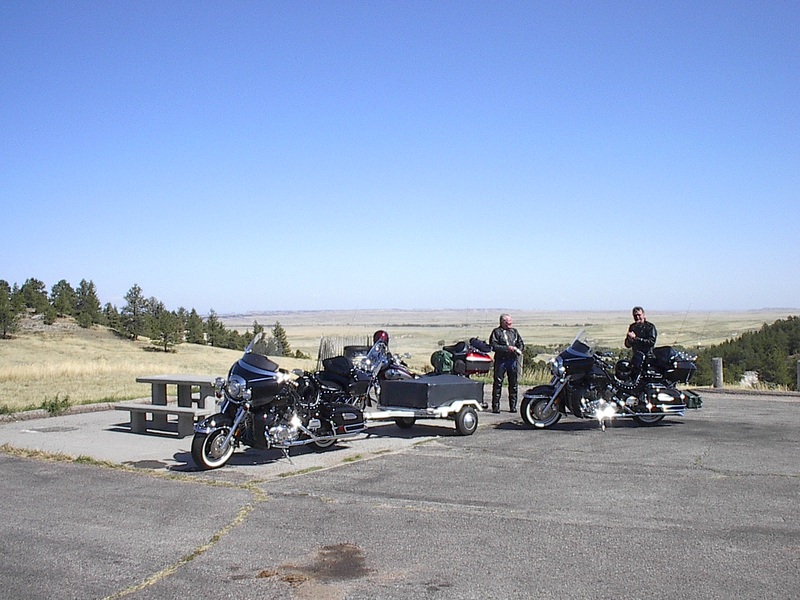 In April we rode 2 of the “Three Sisters” (FM-335 and 337) so I made a point to ride the other “sister” FM-336. There was a sign warning that 10 motorcyclist had been killed on 336 since 2006. It was twisty but not that bad. I’m sure most if not all that were killed were on sports bikes and riding way too fast for an unfamiliar road. From 336 we picked up FM-337 to Camp Wood where we stayed for two nights at the Woodbine Inn again. 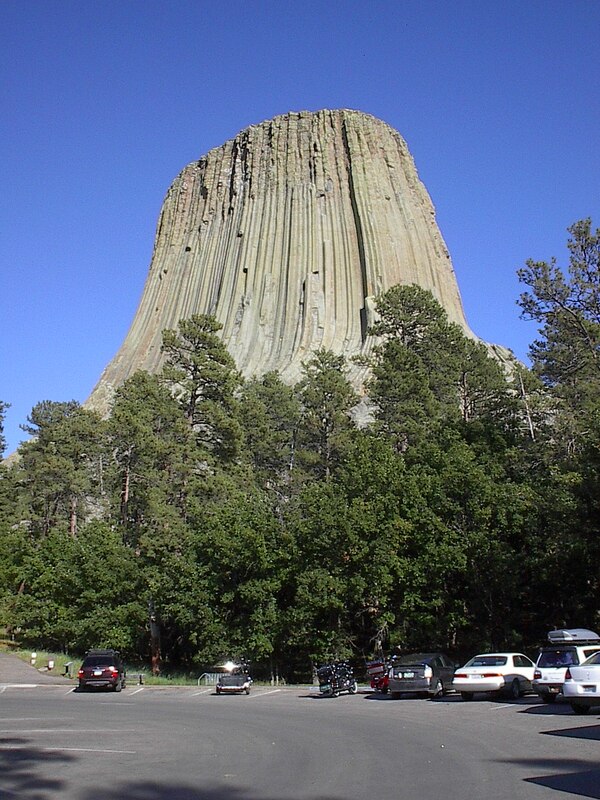 It’s a good place to stay and the rates are reasonable. Camp Wood has several restaurants but they are not always open and not all of them take credit cards. One of the restaurants that we ate at last April (B. J’s Café) had closed and the restaurant that was across the street had moved in its place. It was pretty busy and the food was pretty good except, we had to wait a while to get it. While in Bandera we had lunch, walked around town and went through the Frontier Times Museum. The Frontier Times Museum was formally opened to the public on May 20, 1933 at a groundbreaking ceremony held on January 1, 1933. Hough LeStourgeon was one of the men who turned stones from pastures into a landmark museum worth treasuring. Today the museum attracts visitors to Bandera interested in the history of the region. 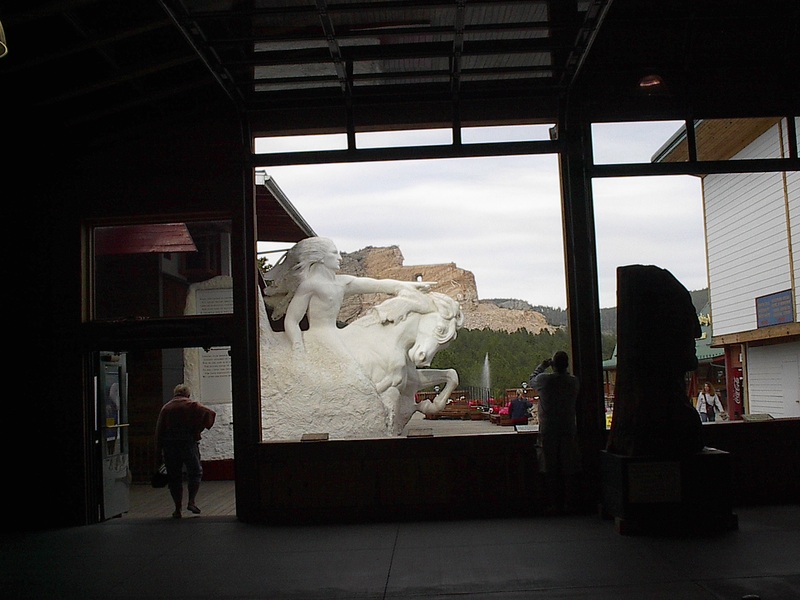 Frontier times and customs hold a fascination that endures and the Frontier Times Museum imparts much of that spirit. 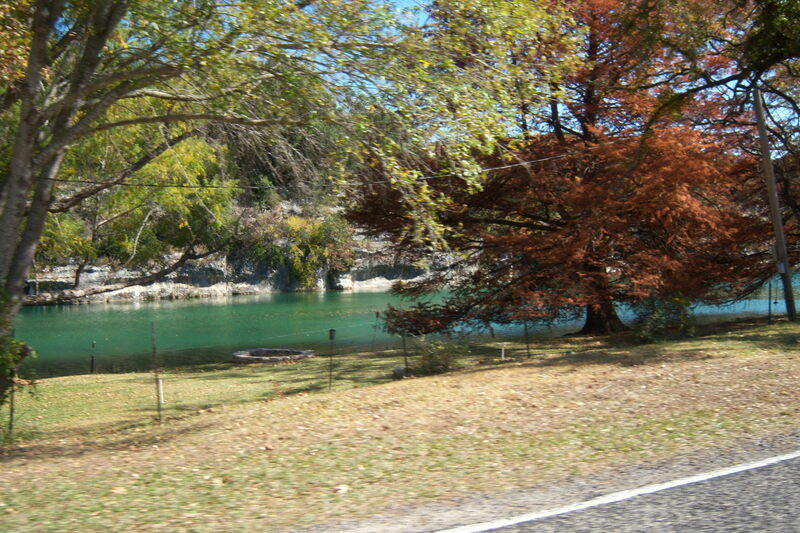 From Bandera we rode to Media via Hwy 16 where we picked up FM-337 and headed to Leakey and continued on to Camp Wood. 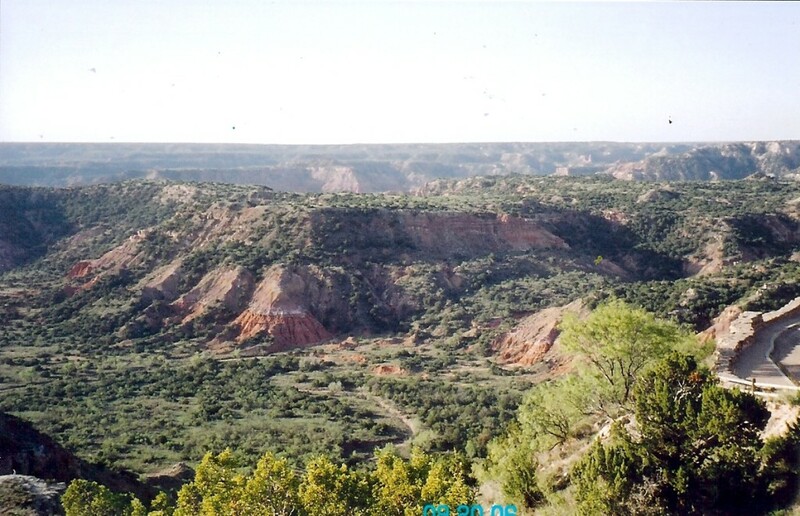 I guess I would say FM-337 is my favorite of the “Three Sisters”, not just because it is twisty but also because it climbs to some of the most spectacular views of valleys and hills. FM-337 should be ridden slowly so that you can enjoy the views but also to keep from being another statistic. There have also been many motorcycle accidents resulting in fatalities on 337. 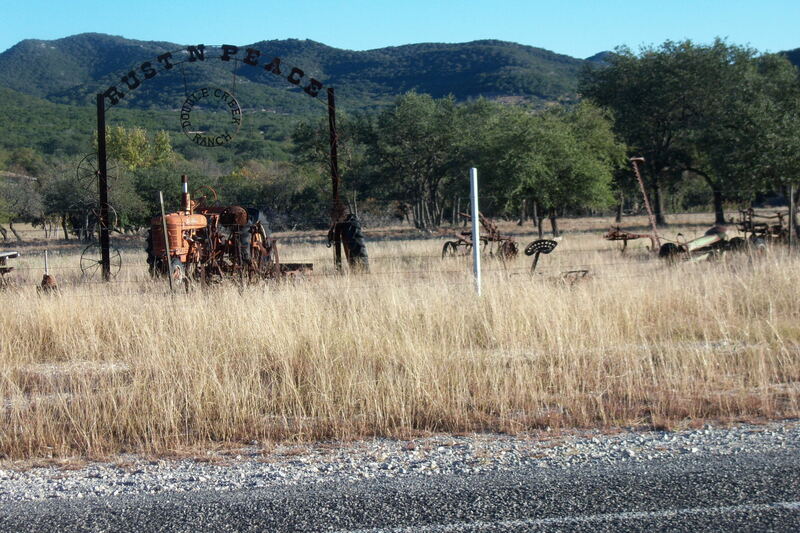 Just outside Camp Wood is a pasture with many old tractors, pickup trucks and farm equipment just sitting and obviously rusting away. Someone took a lot of time and effort to build a sign from old metal that read, “Rust in Peace”. Janet just had to stop and take a picture (See above). This was the last day of our ride. We had breakfast at a new restaurant in Camp Wood. I forget the name of the restaurant but it’s something like Donna’s Bakery & ??. 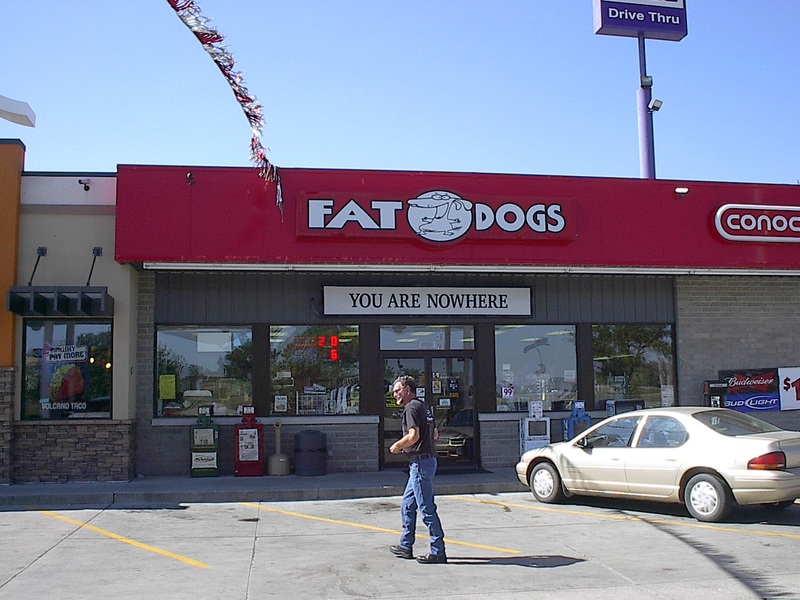 It’s off the main road by the two drive thru liquor stores. Two drive thru stores side by side. That doesn’t make sense in a big town much less the one the size of Camp Wood. We ate dinner at Donna’s the night before and really liked it so we decided to try breakfast too. Then it was on the road back home. We took Hwy 55 to Rocksprings. This was a new road for us and it was a good one to ride. When we got to Rocksprings I got a call from Gary (My brother) he was deer hunting and was back in camp so he gave me a call. I probably would not have heard the phone ring but since we were going slow through Rocksprings I was able to hear it ring. After a short chat we were back on the road to Junction. From Rocksprings on home we have ridden this route before so it was not new but still scenic with the leaves changing. Any ride is a good ride even it you have ridden it before. There are always new things that you missed seeing before. All in all it was a good three-day ride. 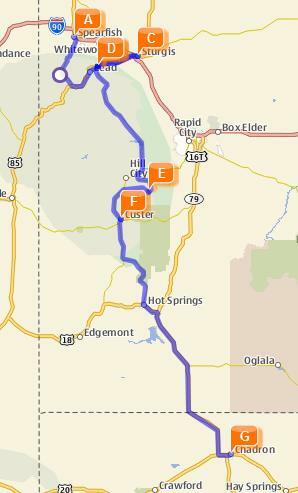 We rode some familiar roads and several new ones that we will add to our must ride list. 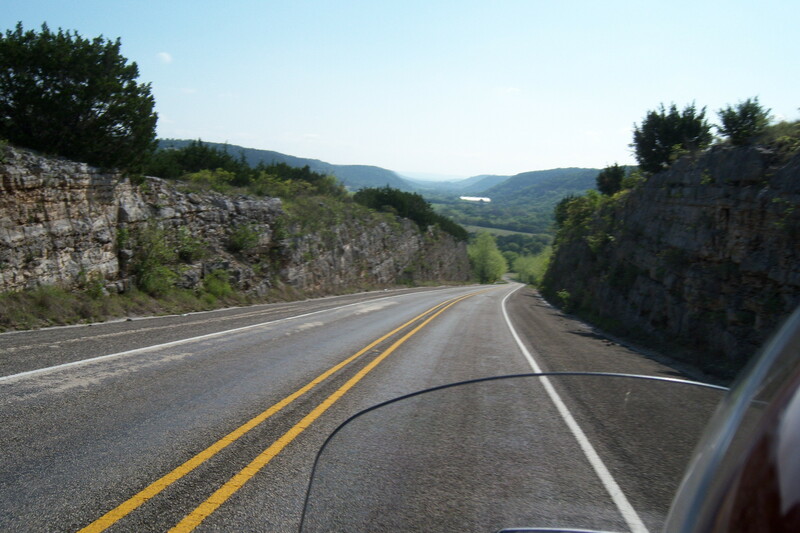 We always look forward to riding the Hill Country. Since February Janet and I have been really busy and were in need of a break. 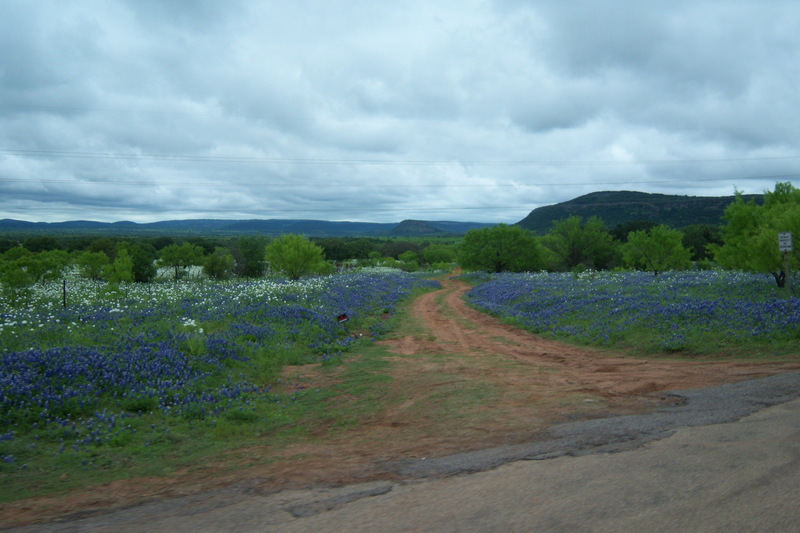 Each year we try to do a Texas Hill Country wildflower motorcycle ride. 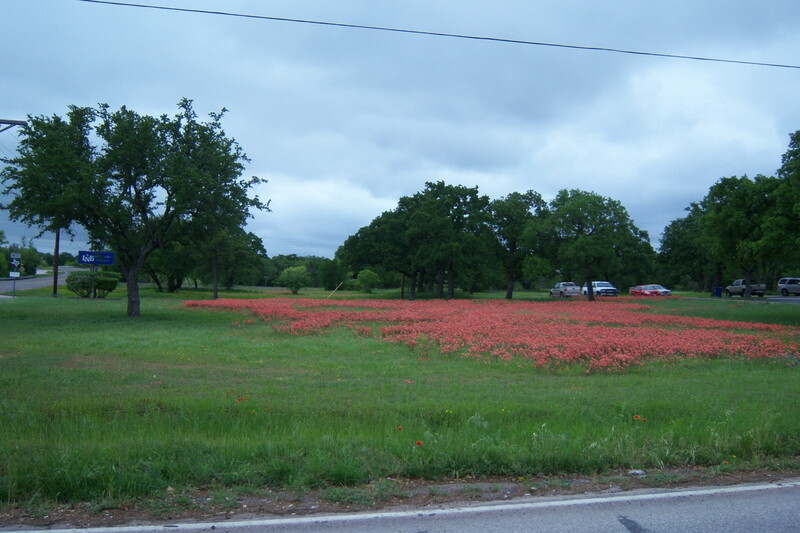 Since the wildflowers are the best they have been in who knows when and since we haven’t had a chance to break-in the new bike we decided to take a 3-day ride to the Texas Hill Country. Riding is the best way to see the wildflowers because you are out there with them. The sights and smells are beyond belief. 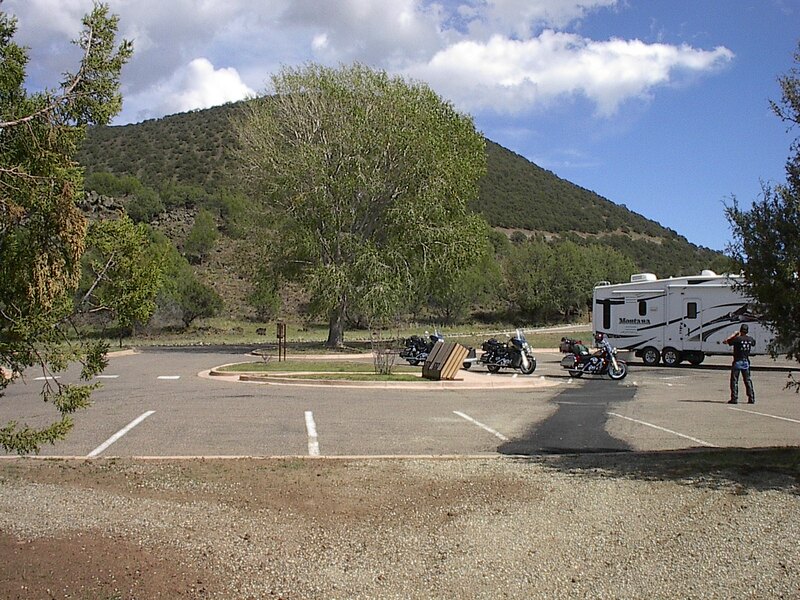 The only downside to this trip was we didn’t have our usual motorcycle buddies along (Larry & Jo Cooper and Larry & Shirley Talley) and it was overcast for most of the first day, which kept the temps 55 to 68 degrees. All in all it was a great ride. 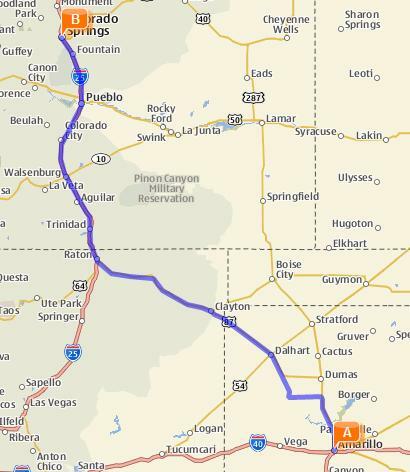 Our route looked like a figure eight and covered 610 miles total. 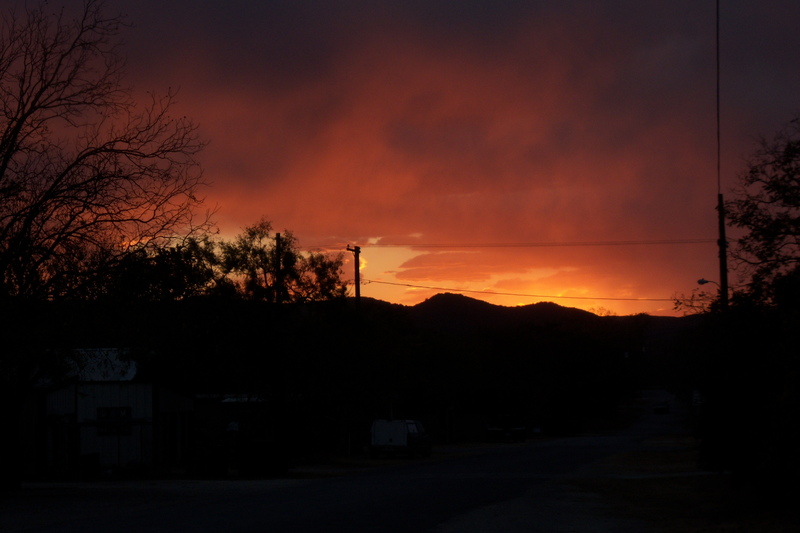 The route was Georgetown, to Llano, to the Willow City Loop, past Enchanted Rock, to Fredericksburg, to Kerrville, to Hunt, to Camp Wood. The first part of this day we have ridden before. The last part from Hunt was new and was beyond anything we had anticipated. Most of the day was overcast and a bit cooler than we had expected but by the end of the day the sun was out and we got to enjoy the new roads in the sun. 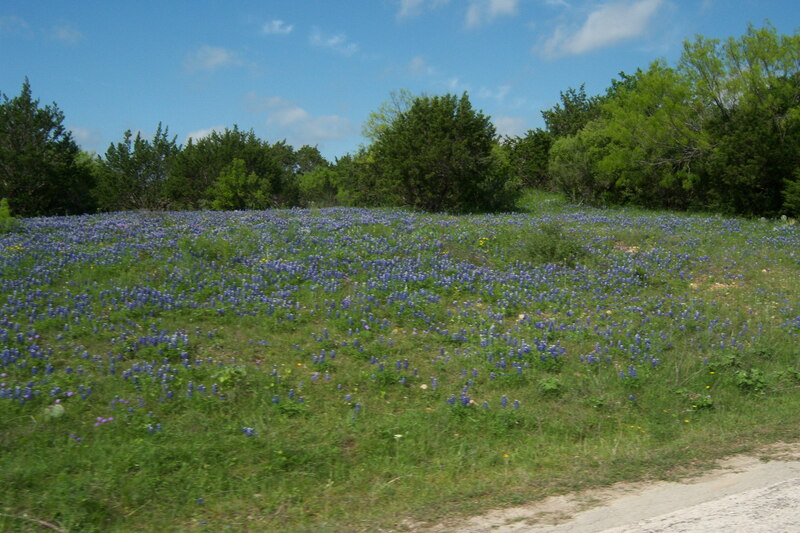 Most of our route was covered in wildflowers (mostly Bluebonnets). The Willow City Loop was good as always. It is a special place and it has to be ridden at least once every season, to see it in its entire splendor. 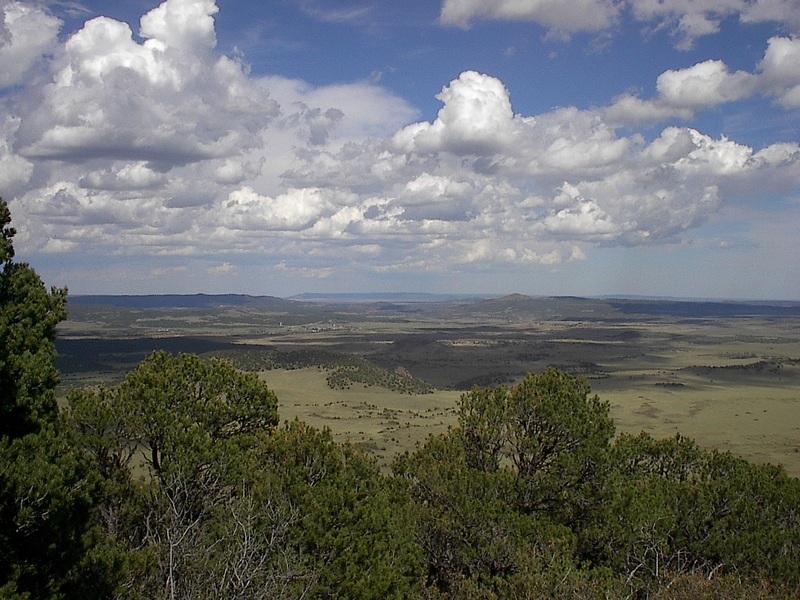 The descent into the valley offers views of neighboring mountains, canyons and creeks. 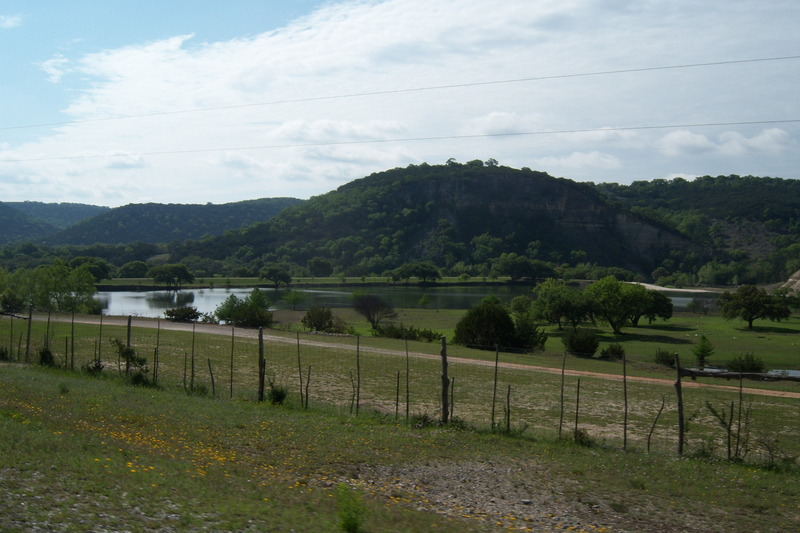 It must be ridden slowly to enjoy the views, as it is one of the most pristine and striking examples of Hill country landscape. There were a lot of people out on the loop for a weekday. 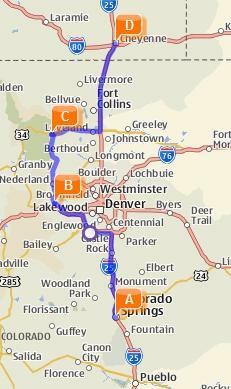 I would not even think about riding the loop on a weekend in wildflower season. Way too many people on weekends, especially this year with a bumper crop of wildflowers. 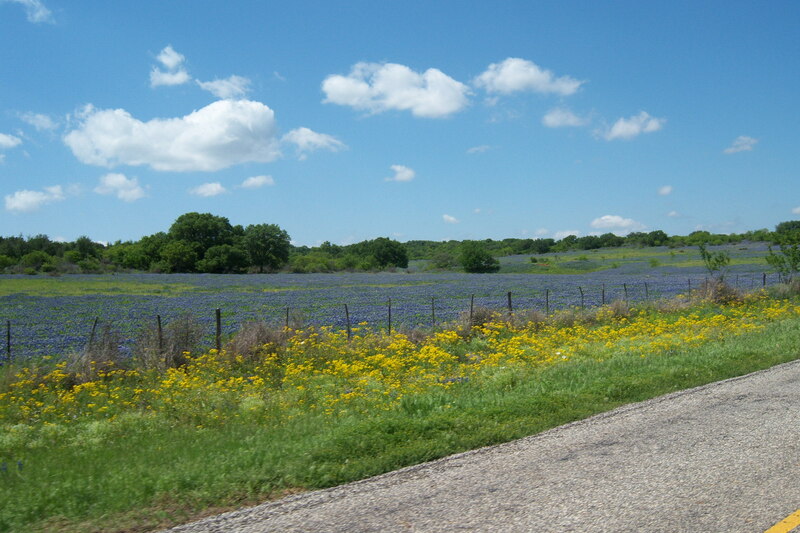 While always enjoyable, this ride is spectacular when the bluebonnets are in bloom. 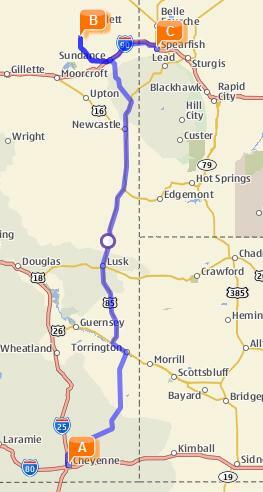 From the loop we backtracked to RR-965 and rode to Fredericksburg. 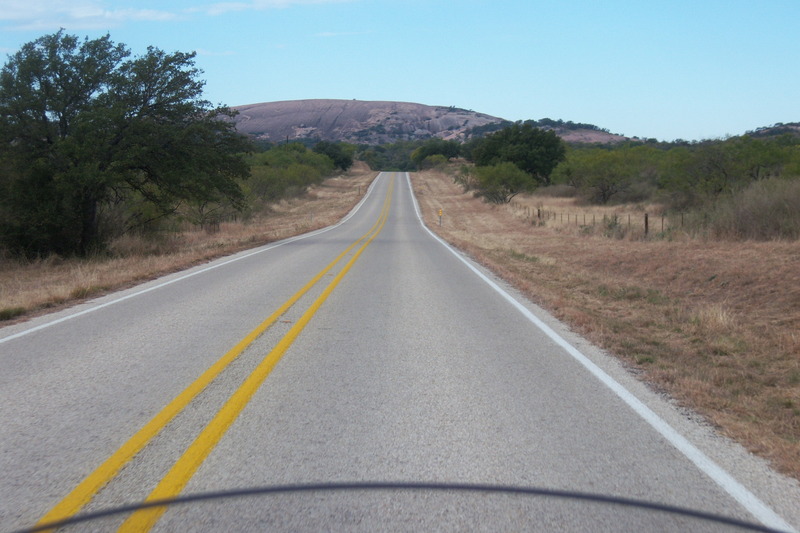 RR-965 goes past Enchanted Rock State Natural Area and is a favorite road for bikers. 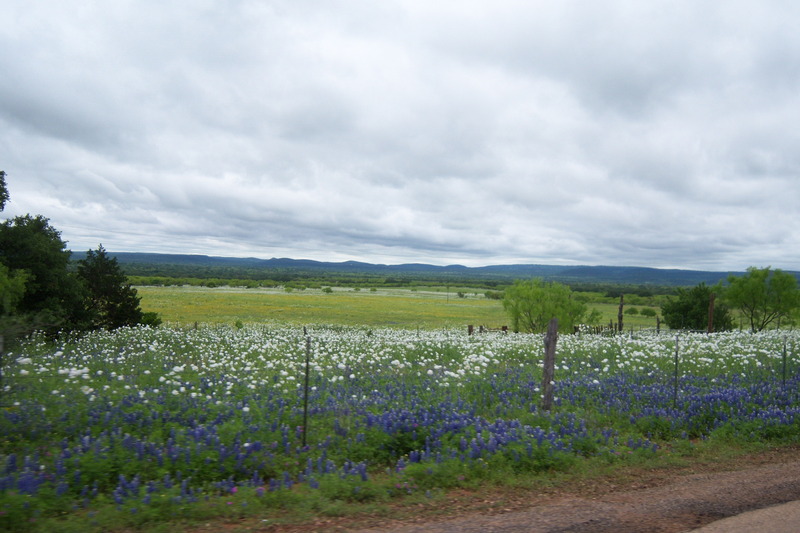 RR-965 offers great views all along the way and even better views with all the wildflowers. 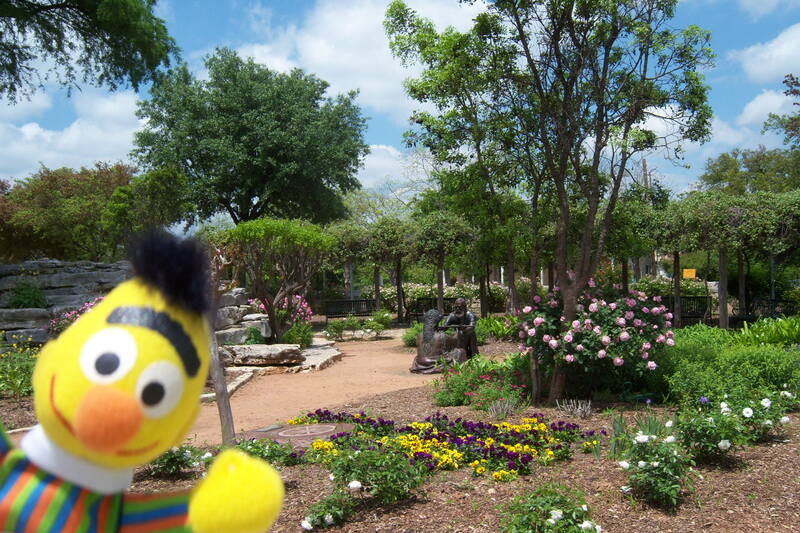 We ate lunch in Fredericksburg before heading down Hwy-16 to Kerrville. From there it was on to Hunt. 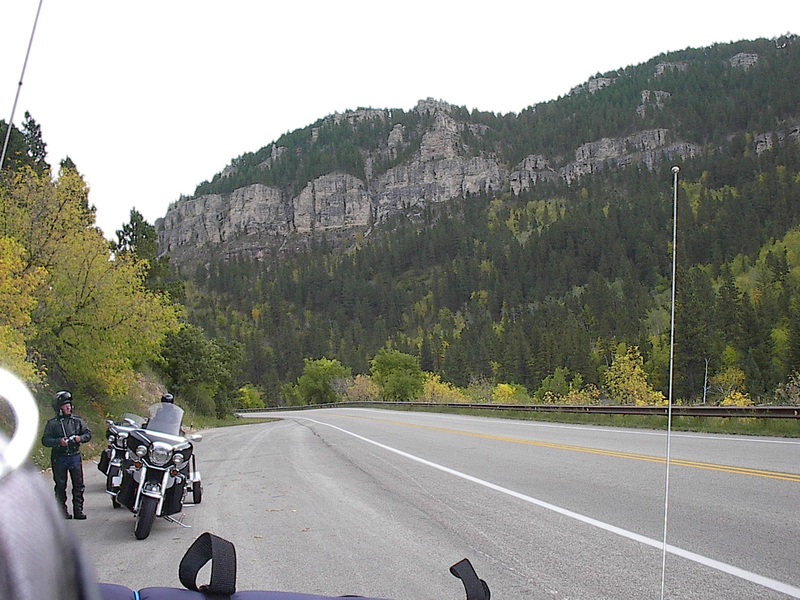 Hwy-39 is another nice biker road but we only went as far as Hunt and then took RR-1340 to Hwy-41. 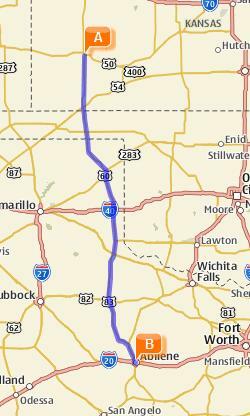 From RR-1340 we rode Hwy-41 to RR-335. At the intersection of Hwy-41 and Hwy-83 is a store called Garvan’s Store. Janet heard about it on the radio sometime back and wanted to stop. It was a small country store. It sold souvenirs and leathers for all the bikers that ride through there. They had some good prices on the leathers but we didn’t need anything. We got a Dr. Pepper and Pepsi and we were back on the road. 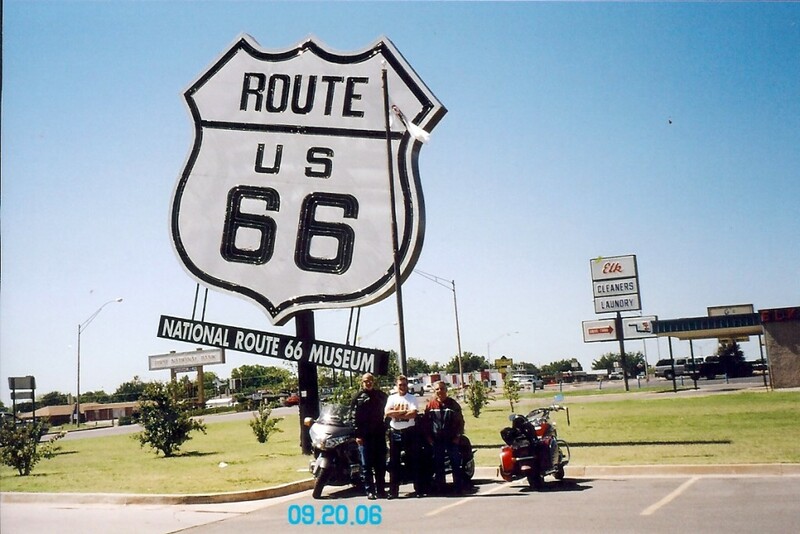 RR-335 is one of the roads that make up what bikers call the “Three Sisters”, some refer to them as the “Twisted Sisters”. After riding two of the sisters I know why they might call them twisted. RR-335 was one of our favorite roads on this trip. 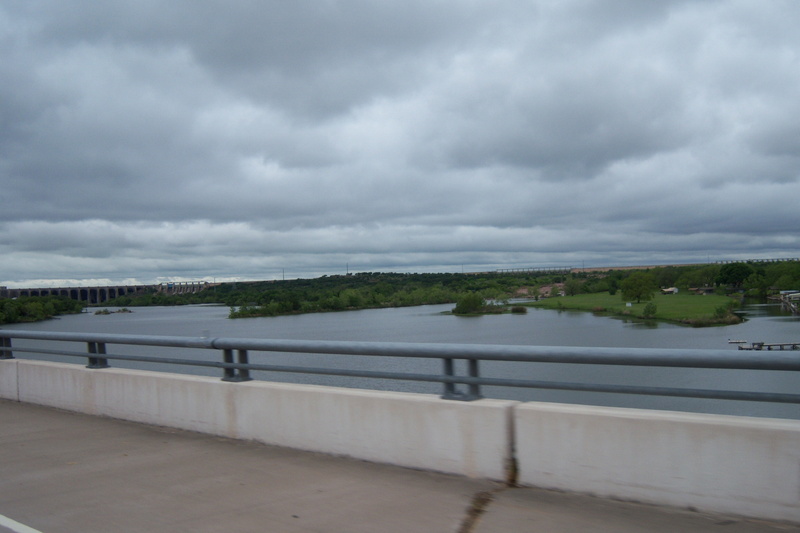 It followed along the west bank of the Nueces River and had some really great views. Verbena was the most prevalent wildflower on this road. 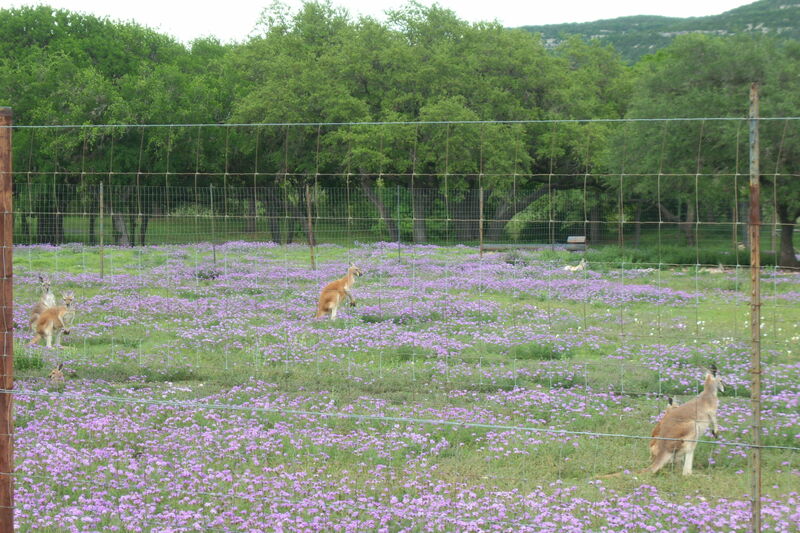 Some of the fields and pastures looked like a sea of purple and the smell hung in the air for miles and miles. 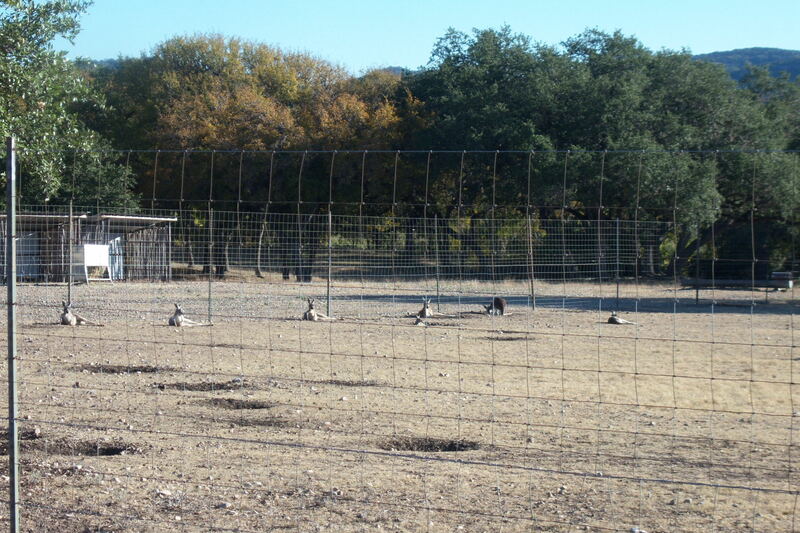 Along the way we came across a ranch that raised all sorts of wild animals. Near the road were kangaroos with little Joeys, giraffes and further down we saw camels. RR-335 is a twisty roller coaster of a ride but doesn’t have sharp turns so it wasn’t so bad. We road nice and easy. It was about 5:00 when we got to Camp Wood. The town was a lot bigger than I thought it would be. We stayed at the Woodbine Inn. The rooms were roomy and quite nice. The owner was nice and I spent quite awhile talking to her about Camp Wood. There were several restaurants to choose from there. Not all were open but still surprising for a town of 800+ people. We ate dinner at B.J.’s Café. It was a typical small town café with all the ambiance. The burger and fries were good. 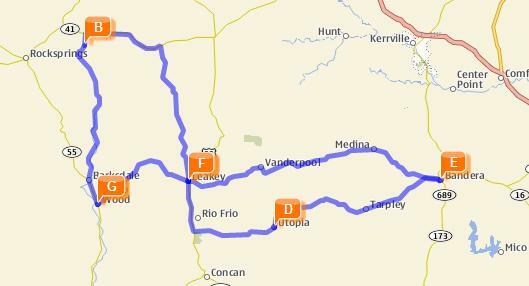 Today’s route took us to Leakey, Vanderpool, Medina, Kerrville, Fredericksburg, Doss, Mason and Brady. This morning we ate at Casa Falcon Restaurant in Camp Wood. The food was good except for the coffee. It was a bit weak for our taste. Because we were only riding 180 miles today we took our time getting up and getting on the road. The temperature was about 55 degrees when we got up but warmed quickly once the cloud cover burnt off about 9:00. We rode RR-337 an other road of the “Three Sisters” from Camp Wood to Medina. I’ve ridden part of 337 before but from Camp Wood to Leakey was new. That leg of 337 is actually the best part. It offered great views with the twisties. It was a bit more twisty than 335 but it wasn’t really that bad. Janet didn’t mind it so I was ok with that. RR-337 had great scenery too. We also saw several buffalo along the way. 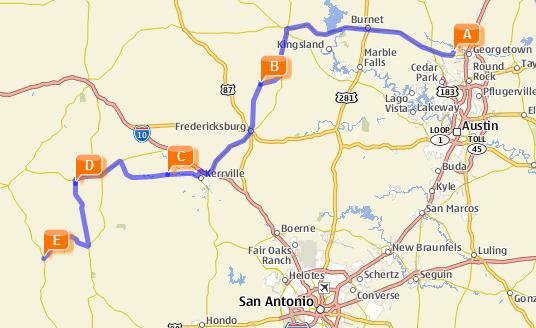 From Medina we took Hwy-16 to Kerrville and on to Fredericksburg. 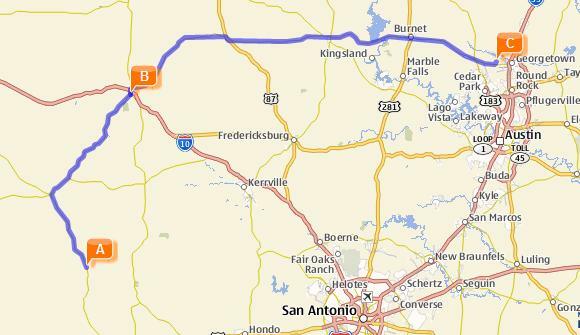 Hwy-16 from Medina to Kerrville is another favorite biker road. It has many twisties with several hairpin curves. Needless to say you have to take it slow and easy. We ate lunch again in Fredericksburg at one of the German restaurants. It was good as usual. After lunch we spent time walking around town doing touristy things. 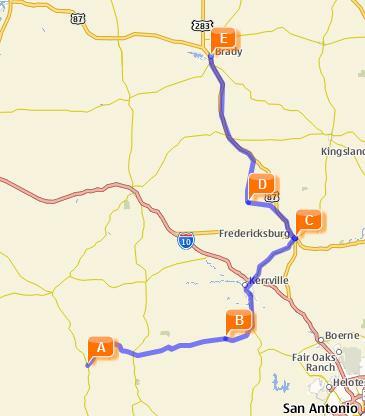 From Fredericksburg we took Hwy-87 to RR-648 to Doss. 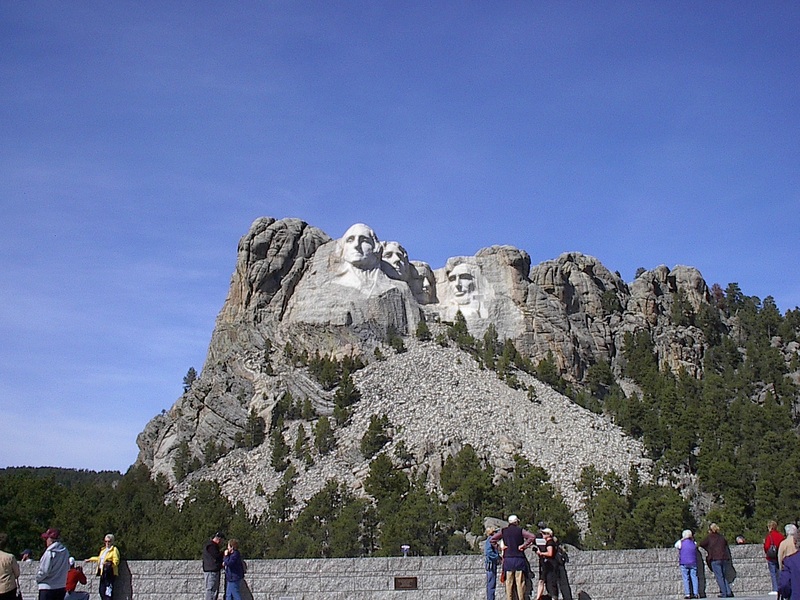 I have read about this road to Doss and we were not disappointed. You ride into a valley with wildflowers all along the way. 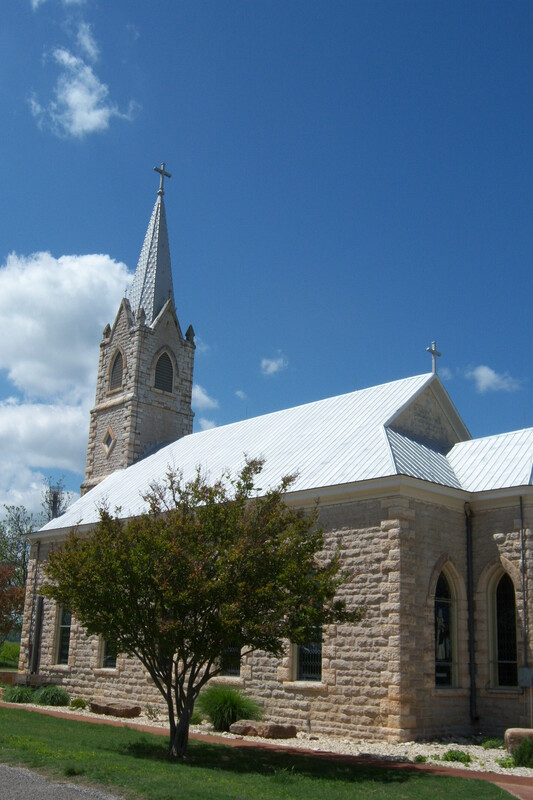 Doss consisted of a Lutheran Church and school and not much more. From there we took RR-783 back to Hwy-87. RR-783 was a great ride too as we climbed back to Hwy-87. Taking Hwy-87 on to Mason and Brady was pretty quick. 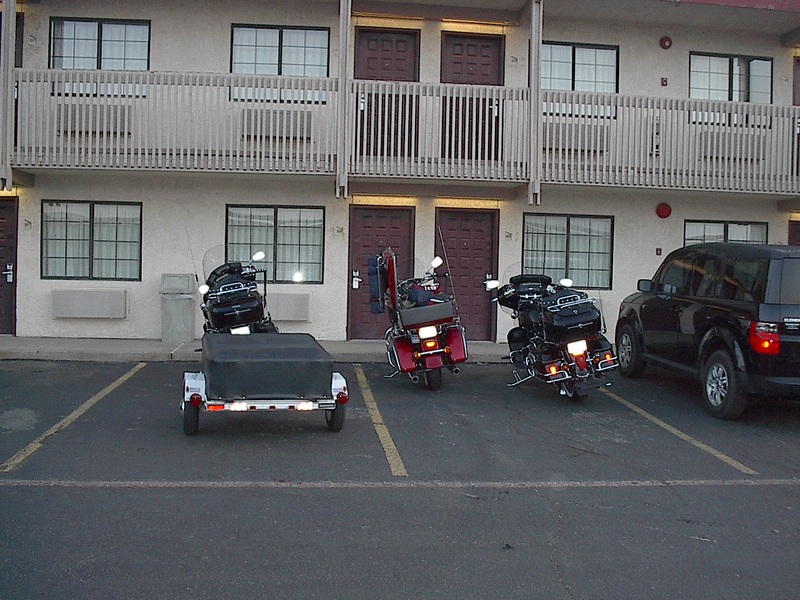 We checked into the Days Inn in Brady around 4:00. McDonald’s was just next-door so we just grabbed a quick bite there for dinner and took it easy. Again since MC Donald’s was next door to our motel and they have really good coffee we had breakfast there. The sun was out and only a few clouds. We knew the ride would be good. 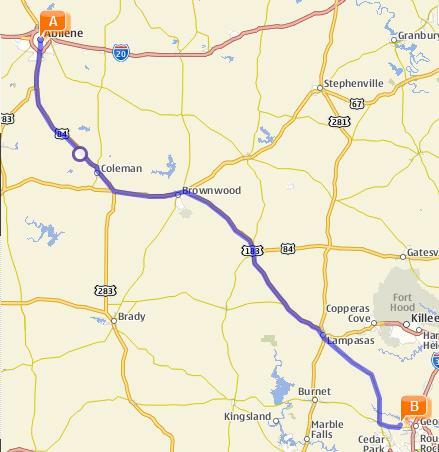 Today we rode to Pontotoc, Cherokee, Bend, Lampasas and on home. 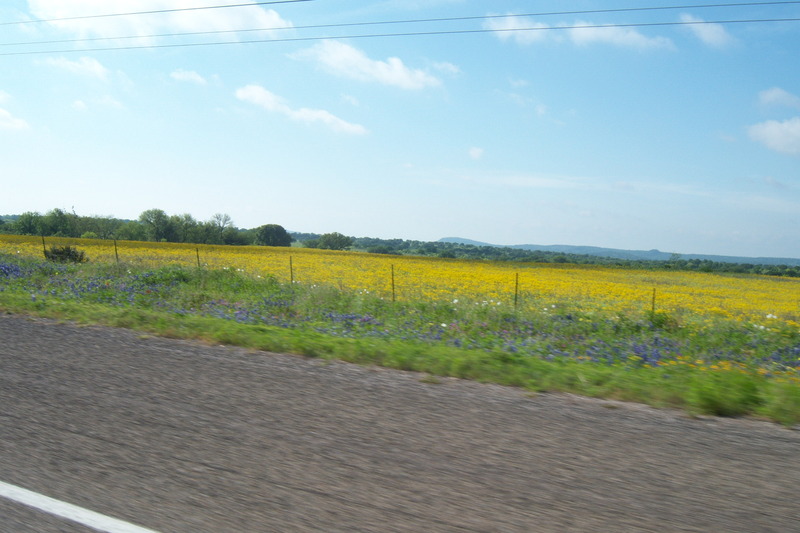 Today was a lazy easy ride home with lots of bluebonnets and other wildflowers in abundance. We also saw several bunches of hybrid bluebonnets from Texas A&M. I guess you can’t call them bluebonnets because they are maroon. Maybe call them maroonbonnets instead! 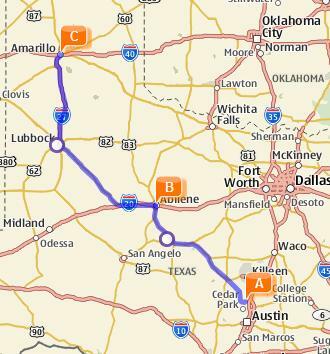 We rode Hwy-71 to Pontotoc then took RR-501 to Bend where we picked up RR-580 to Lampasas. These were less traveled roads. We saw only a few cars until we got to Lampasas. 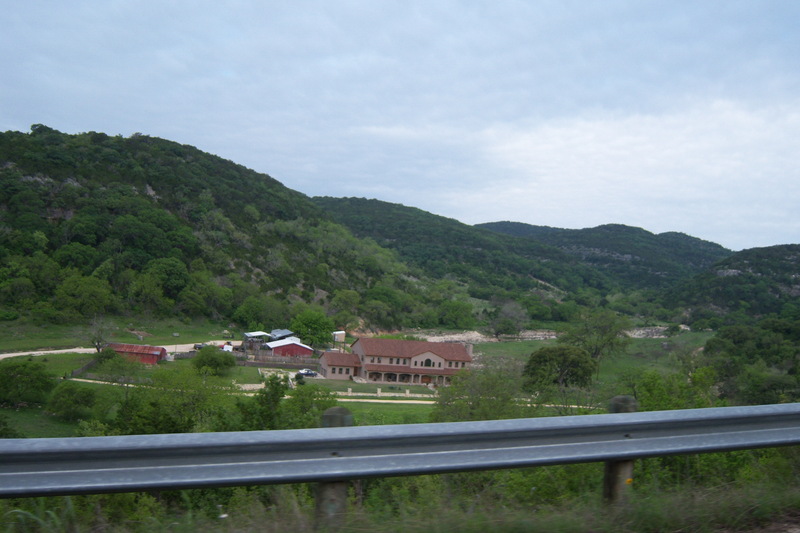 From there we took Hwy-183 to FM-970 to Andice where we stopped and had lunch at the little store there that claims to have the best hamburgers. I must admit they were good and by the number of people eating there they must have thought so… or they saw the same sign we did… We got home a little after one and rested up the rest of the day. This was the first real long ride on the new bike. Janet likes the seat better than the old bike. She says she can ride longer between stops, that is a good thing since the range is greater with the 6.6-gallon gas tank. All in all we really enjoyed this little trip and the new bike. We are looking forward to next year’s wildflower crop. 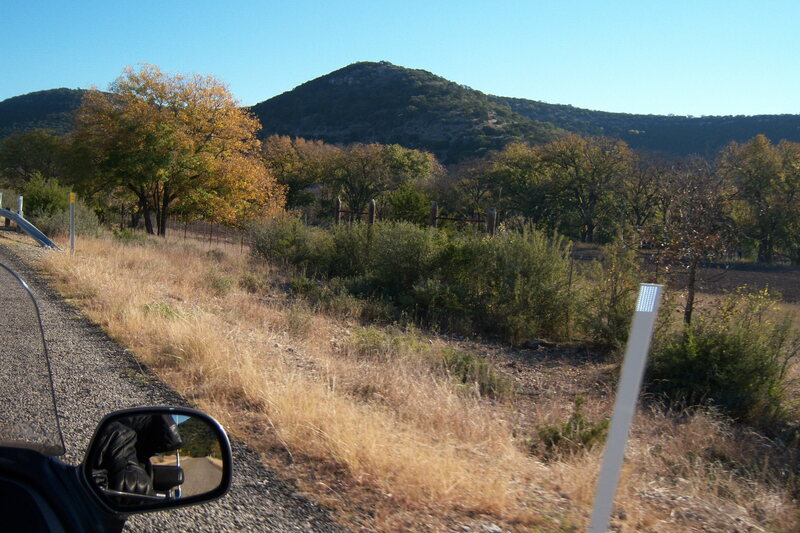 We will be back to ride more Hill Country roads.